Use TEGO.CLASS with your fellow teachers and specify which of them will see and edit your data. Determine the user roles of the school staff. The roles “Administrator”, “Staff” and “Teacher” are preset and can be adjusted by you at any time. 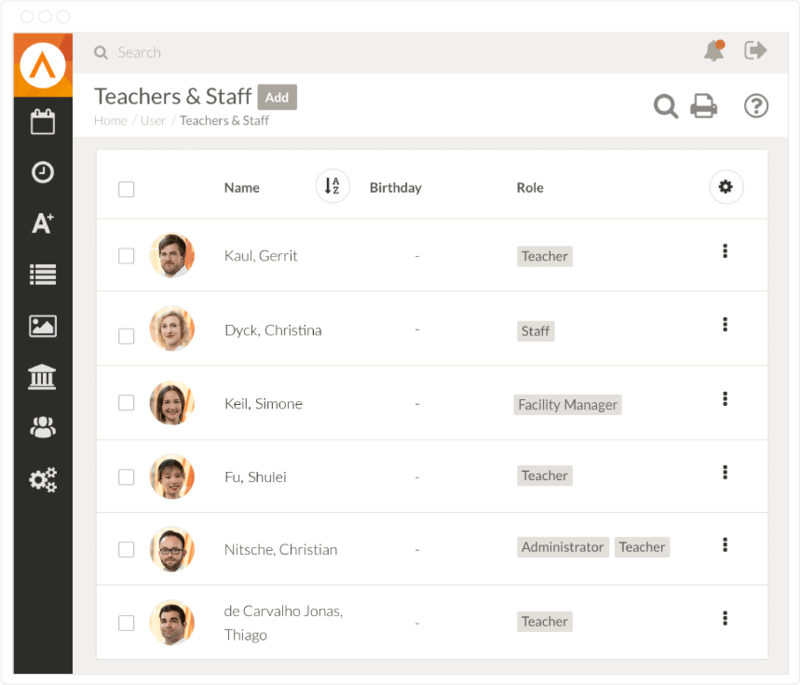 You can add any number of user roles as for single teachers or administration employees. 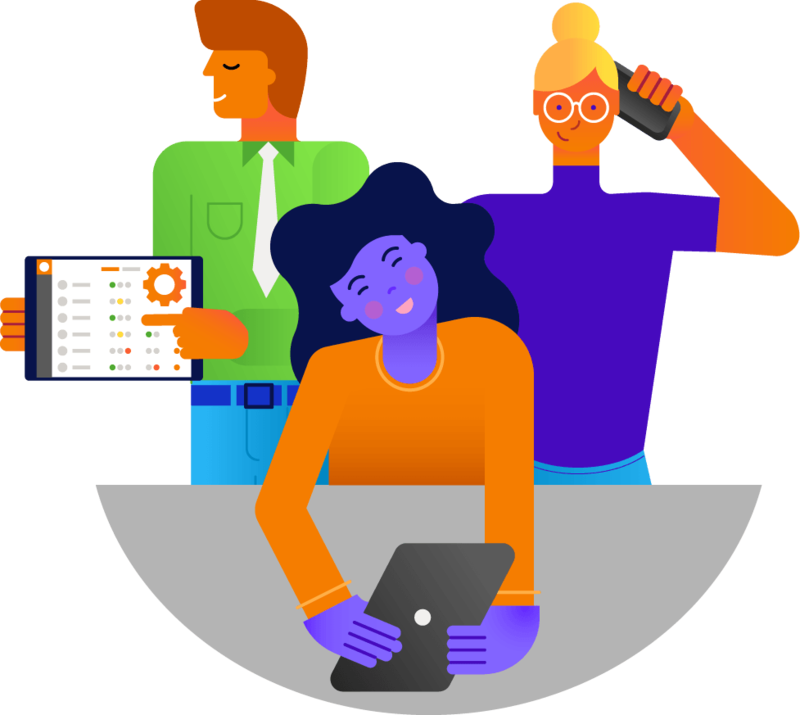 Any user can have more than one user role, for example teacher and administrator. Define the single rights for every user role. 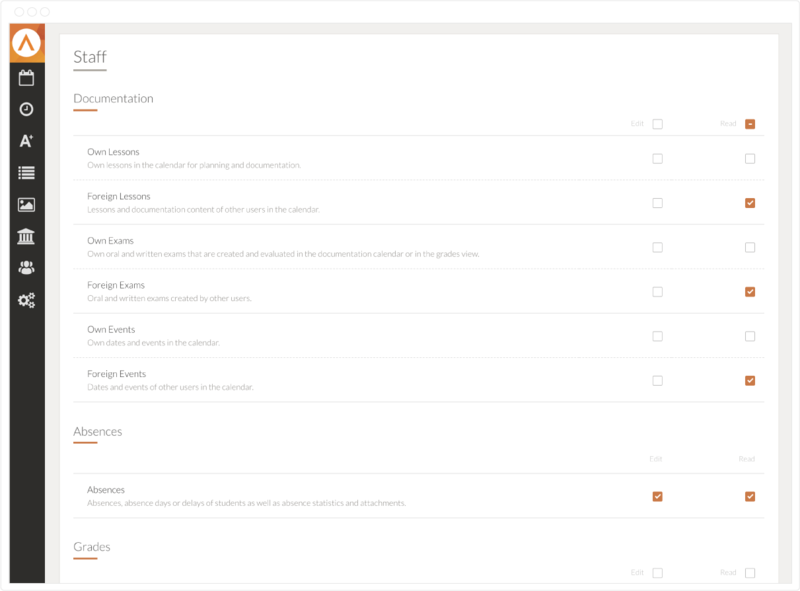 Here you can decide, which modules will be enabled for the user groups. Distinguish between Edit & Read, only Read or no visibility. Use case: The role “staff” is able to edit and read abscences, but no student grades. Furthermore whole modules can be deactivated completely by giving no right to any role. The module won’t appear in the app then. In the app every user can only see the modules he is enabled for. If a user’s got the right to read, he will be able to see a module but not to edit it. 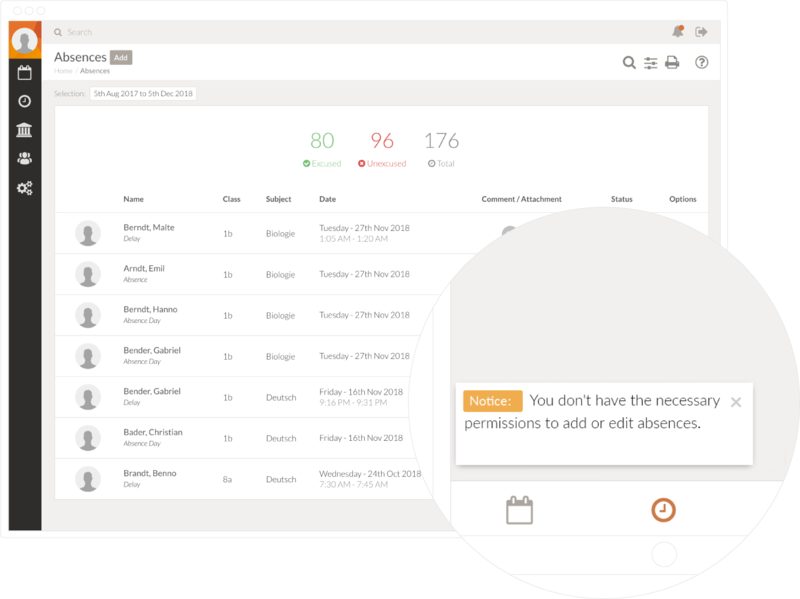 If a user doesn’t have specific rights, he will see a notice in the lower right of the screen. The corresponding buttons won’t be clickable for him.